Manchester United edged progressed in the Europa League anyway but manager thinks he got the team selection wrong. ALEX FERGUSON ADMITS he made selection errors as Manchester United progressed to the last 16 of the Europa League despite a 2-1 loss to Ajax. United went ahead early in the game thanks to Javier Hernandez, as they pushed to a 3-0 lead on aggregate after last week’s 2-0 win in Amsterdam. But Ajax drew level on the night thanks to a contentious goal from Aras Ozbiliz after Nicolas Lodeiro appeared to handle the ball. The visitors then grabbed a late goal through Toby Alderweireld and Ferguson admits he picked too many young players, particularly in defence. Defender Phil Jones donned the captain armband for United, but slammed his side’s performance as “nowhere near” good enough. “I don’t think we were at our best tonight, everyone can see that. We got off to a great start, Chicha’s (Hernandez) scored a great finish and we were in control of the game,” Jones said. Email “Fergie takes the blame for Old Trafford defeat to Ajax”. 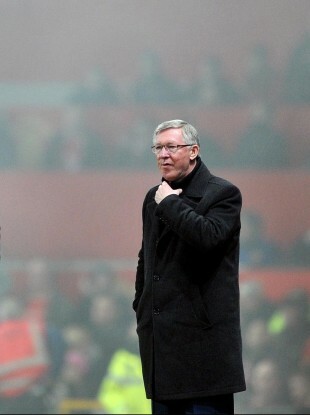 Feedback on “Fergie takes the blame for Old Trafford defeat to Ajax”.